Home / Pre-Owned / RM035 "Baby Nadal"
There are very few timepieces as interesting or exciting as the Richard Mille RM035 "Baby Nadal". The ultra light tonneau case measures a perfect 48 mm x 39.70 mm x 12.25 mm and is made of AZ91 alloy. The high-tech alloy is made of 90% magnesium and 8.9% aluminum. 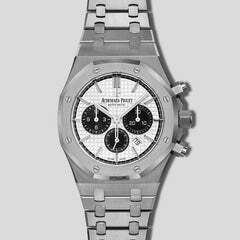 What makes this stunning timepiece so special is that it is both extremely strong and incredibly lightweight. The timepiece contains the Calibre RMUL1 skeleton movement and boasts a 55 hour power reserve and 50M water resistance. The unique rubber strap contains a honeycomb cutout that offers the wearer supreme comfort and distinctive design. This RM035 is in spectacular like-new condition and comes complete with all boxes and papers. 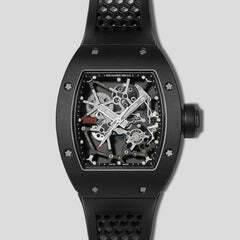 Material Good is an Authorized Richard Mille Retailer.